Jewish Lights Publishing, 9781580238052, 352pp. Almost ninety children and grandchildren of Holocaust survivors--theologians, scholars, spiritual leaders, authors, artists, political and community leaders and media personalities--from sixteen countries on six continents reflect on how the memories transmitted to them have affected their lives. Profoundly personal stories explore faith, identity and legacy in the aftermath of the Holocaust as well as our role in ensuring that future genocides and similar atrocities never happen again. There have been many books and studies about children of Holocaust survivors--the so-called second and third generations--with a psycho-social focus. This book is different. It is intended to reflect what they believe, who they are and how that informs what they have done and are doing with their lives. 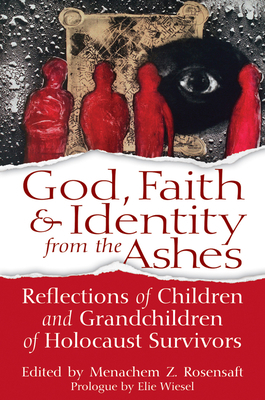 From major religious or intellectual explorations to shorter commentaries on experiences, quandaries and cultural, political and personal affirmations, almost ninety contributors from sixteen countries respond to this question: how have your parents' and grandparents' experiences and examples helped shape your identity and your attitudes toward God, faith, Judaism, the Jewish people and the world as a whole? For people of all faiths and backgrounds, these powerful and deeply moving statements will have a profound effect on the way our and future generations understand and shape their understanding of the Holocaust. "When you, with humility, are telling us where God was in that moment, I felt within me that you had transcended all possible explanations and that, after a long pilgrimage--sometimes sad, tedious or dull--you came to discover a certain logic and it is from there that you were speaking to us; the logic of First Kings 19:12, the logic of that 'gentle breeze' (I know that it is a very poor translation of the rich Hebrew expression) that constitutes the only possible hermeneutic interpretation. "Thank you from my heart. And, please, do not forget to pray for me. May the Lord bless you."